Saint-Germain-des-Prés is an area on the left bank located around the Abbey of Saint-Germain-des-Prés. Known for its student life, lively atmosphere and bistros, the Saint-Germain-des-Prés and Latin Quarter are the home to a number of universities itself. It is also the location to a number of famous cafés (Les Deux Magots and Café de Flore). 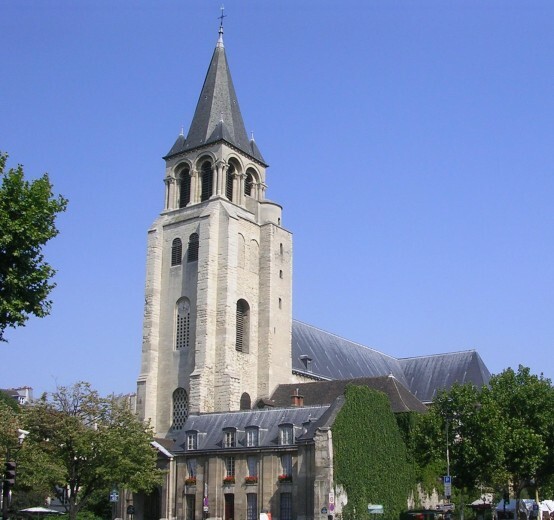 The church of St Germain des Pres is defined by its sturdy bell tower in the interior a mixture of different architectural styles, original 6th century pillars support the 12th century choir combined with Gothic vaulting, and also Baroque parts. The place contains many of the Paris most famous monuments, museums and gardens, ranging from the Arab World Institute to the Middle Age Cluny museum, or the Muséum National d'Histoire Naturelle in the Jardin des Plantes.